This is the attitude that kept him at his work and gave us the electric light bulb, the phonograph, and the motion picture camera, among many, many other things. And it is the difference between creators—whether they make mechanical devices, books, or paintings—continuing their work or giving up when things don’t happen when they want it to. I’m trying to absorb that philosophy and live it, because it is a fact, whether you’re an optimist or a pessimist, that things happen only if you try to make them happen. When you stop trying, NOTHING happens. Of course, pessimists will say that no matter how much they try, nothing will work anyway. Whereas optimists will say that if you keep trying, the Universe will eventually reward you. For so many reasons, my natural instinct is to be a pessimist. Part of that is because it’s a survival mechanism. If we prepare for a negative consequence, we won’t be as hurt by it. We see the bad things before we see the good things. And the bad things stay with us much more than the good things. My therapist used a great analogy: In times of hunting and gathering, it was more important to notice the tiger behind the tree than it was to notice the beautiful flower in the field. It was imperative to survival to see the danger (the bad) before the beauty (the good). That flower may be beautiful and pleasant to look at, but it’s inconsequential to survival. Therefore, we have to make a concentrated effort to notice the good things and actually pay attention to them. Stop and look at the flower, smell it, observe its color and shape and how it looks against the background. When you think of it that way, the expression “stop and smell the roses” takes on new meaning. So, my New Year’s resolution (well, one of them) is to view things in a positive way. To believe that any lack of success I experience is not a failure but another lesson of what doesn’t work, and that there are no mistakes, just learning experiences. 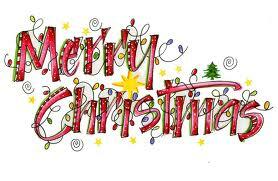 This is my last post before Christmas, so for those of you who celebrate, I hope you have a joyous, fun, safe Christmas. 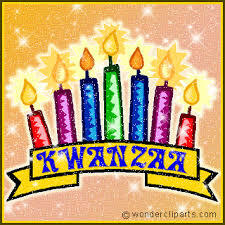 And for those of you who celebrate Kwanzaa, may you enjoy abundance and happiness. I look forward to talking/seeing/working with you all in the new year. RG May your holiday be warm and gentle, giving you many opportunities to find the beauty. In the opti- v pessi- mistic argument I utterly concede the necessity for pessimism in the survival context. But the opti will always find something to hope for, something that can sustain her, in the most desperate of situations. And will develop the knack of adapting to outrageous fortune and outliving it or making it work for her. Hope has power and creative energy. Have a lovely Christmas, RG.